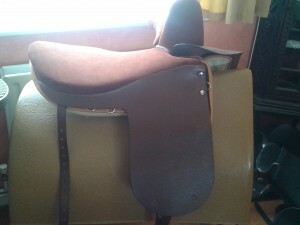 FOR SALE: 16″ refurbished Champion and Wilton side saddle. Medium fitting. Full suede seat. 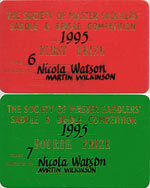 £1500. Hi do you still have this for sale ? The bag straps are excellent! Thank you again. I am writing to let you know how pleased I am with my refurbished leather 19th Century hat-box. 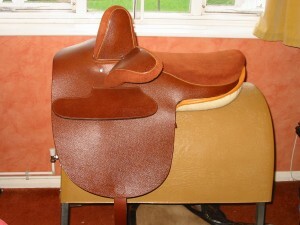 I admire your professional expertise in putting on the new leather side straps and the resourcefulness that you displayed in getting inside the lid to re-stitch the carrying handle; I keep looking at the finished item and I really am extremely pleased with the result. 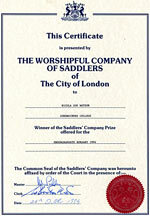 I will recommend you to any of my friends who need saddlery or leatherwork. I’ll be in touch when I have other work for you.